Saint George is a 11 – 16 Catholic College providing a balanced and broad education for boys and girls of all abilities. This is an ideal opportunity to join an excellent College, in the education of pupils both in and out of the classroom. It would suit a person thinking about a career in teaching or building a career in the support mechanism for students within the College. You will need to have a personal and professional interest in the education and development of students. If you believe you have the qualities and skills to take on this role, please visit our website, Vacancies Page for further information and to download an application form. Please complete the application forms along with a short covering letter emailed to Mr S Guyer at sguyer@stgcc.co.uk. We would be very grateful for donations of unwanted/outgrown uniform to keep as spares at the college. If you have anything you could spare, particularly trousers and blazers, please contact reception. * To support the Head Invigilator/ Examinations Team with the day-to-day operation of examinations. * Assisting with setting up examination venues, laying out stationery, equipment and examination papers. * Ensuring candidates do not talk once inside the examination hall. *To support the Head Invigilator/ Examinations Team with the day-to-day operation of examinations. *Ensuring candidates do not talk once inside the examination hall. Lucky participants in our annual ski trip left behind snowy England for even better snow in Risoul in the French Alps on the 3rd March. Twenty-one students and three members of staff had an amazing week with slope conditions perfect for skiiers of all abilities. 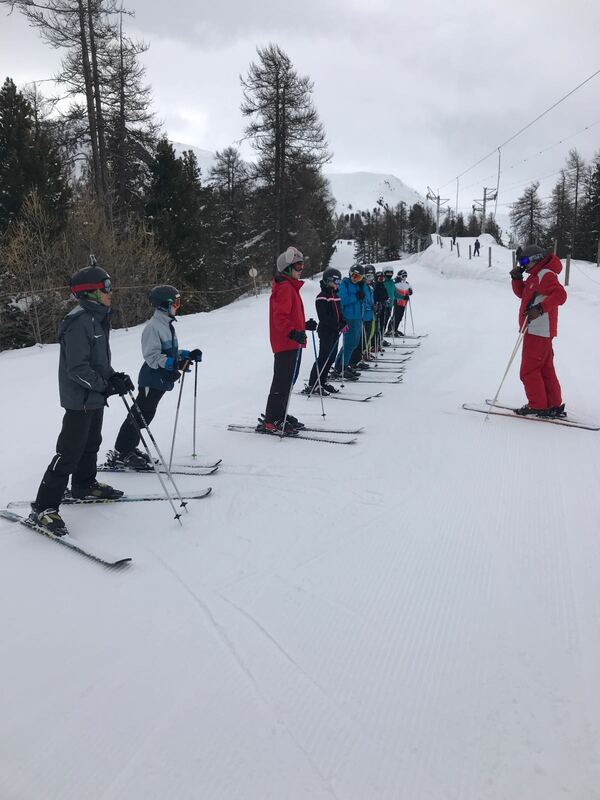 A beginner group of 12 students started developing their skiing skills on a series of green slopes, eventually progressing onto blue slopes with sections of red. Meanwhile the slightly more advanced group headed straight for the blues, but by the end of the week were competent at many red slopes. All of the pupils progressed onto their next stars, which were presented at the end of the week and the instructors had nothing but nice things to say about the pupil’s attitude and perseverance. The week was ended with some Ski awards; John McCormack won the award for the quickest on ski’s with his speedy slalom race against a very quick Jerome Metcalfe, with Sophia Colon winning the award for the most spectacular crash! The hotel staff ensured we were very well looked after and combined with great skiing conditions, quite slopes and amazing evening entertainment, it made for a thoroughly enjoyable and advantageous trip for all students and staff involved…Roll on next year! Did you know that you can support The Friends Of St George by shopping online? Every time you shop online via easyfundraising at one of the 3,300 retailers including John Lewis, Sainsbury’s and Booking.com, a donation will be made to The Friends Of St George, and it won’t cost you an extra penny. Get shopping – your donations will be collected by easyfundraising and automatically sent to The Friends Of St George. It couldn’t be easier! There are no catches or hidden charges and The Friends Of St George will be really grateful for your donations. Tickets are £3.00 adult and £1.00 children in advance or £3.50 and £1.50 on the door.